Every detail of your store is vital for your customers shopping experience. Merchandising is one of the biggest contributors to customers buying decisions. Adjusting the way you present product can increase the perceived value of your items and provide an amazing experience. Who doesn't love a well-done rustic themed display? 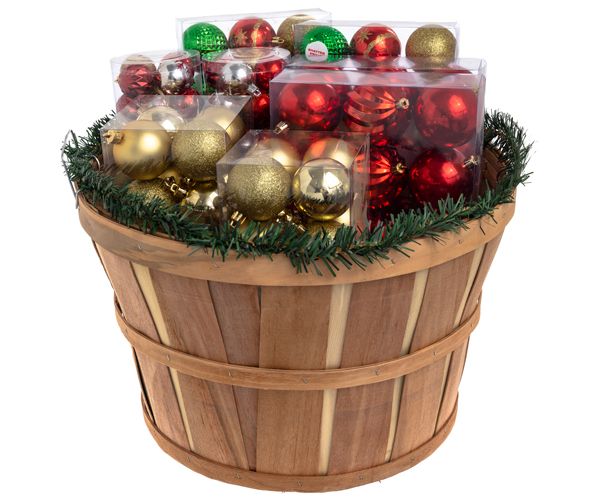 Wood bushel basket displays add a quaint country charm to any food retail environment. The fixtures are a brilliant selling tool, whether you choose to use a countertop display, a floor model or simply use the bushel baskets alone. Grocery stores, supermarkets and farmers markets have been using bushel baskets, also known as peck baskets, to display their certified organic produce for years. The rustic wood design adds a little country appeal to the display and creates a fresh from the market feel. However, harvest baskets are not only functional for merchandising produce. They are becoming increasingly popular for a broad spectrum of purposes. With a little imagination, the possibilities are endless. The holiday season is upon us and that means itÃ¢? ?s the prime time for giving. This festive season, make your store the place to go for last minute gift ideas. Old-time bushel baskets are perfect for creating pre-made gift baskets filled with holiday warmth. And the best part - you can find everything you need right inside your store. Pack a peck basket full of coffee, a fun oversized coffee mug and flavored syrups. Add a few gourmet cookies to top it off and you have a gift that is sure to please any coffee lover. Christmas treats and sweets are also right at home in our decorative chipwood baskets. 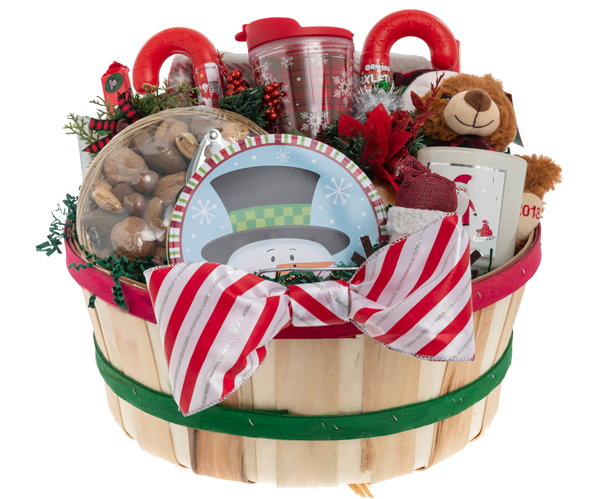 Or, simply load one of our red bushel baskets full of fruit, stick on a bow and youÃ¢? ?ve got the perfect holiday gift for busy on-the-go shoppers. The winter season is a festive time of year. Tap into the holiday spirit with Christmas themed displays to get customers in the shopping mood. Introducing new elements to the shopping experience changes the energy of the entire store. Studies have shown that decorating for the holidays creates a positive feeling in customers - they are happier and likely to spend more time inside your store. Bushel baskets, or farm baskets, correspond well with seasonal themed sales and immediately bring a rustic feel to your display. Add embellishments like ornaments and snowflakes to capture the magic and wonder of the holiday season. You are guaranteed to garner attention and entice shoppers to explore your seasonal items for sale. Everyone likes to feel unique and special, and according to market research, this desire is particularly strong among Millennials. By creating an interactive popcorn bar you can attract and engage shoppers. 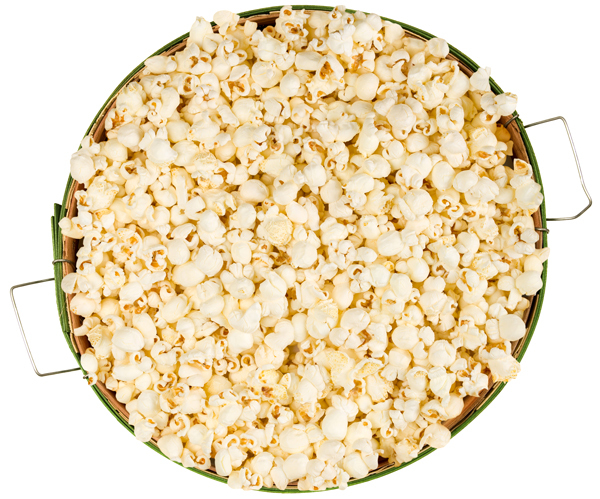 Fill bushel baskets, also known as apple baskets, with popcorn and allow guests to personalize it by selecting seasonings like kettle corn, nacho cheddar, white cheddar, ranch and caramel. Throw a few candies and peanuts into the mix as well. The ability to pick and choose their own spices allows them to feel a sense of discovery. Be sure to pair the baskets with scoops so guests can serve themselves. Don't forget to offer packaging options in various sizes to accommodate the needs of your shoppers. 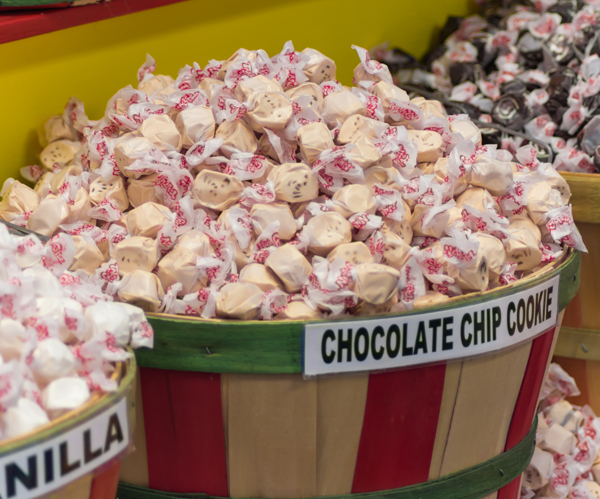 Bushel baskets are a sweet way to exhibit bulk candy. The natural wood baskets look great filled to the brim with your most popular packaged and wrapped candy, such as taffies, caramels, gumballs, lollipops, and all kinds of other treats for anyone who is looking to satisfy their sweet tooth. Bulk nuts are another popular snack that would look great displayed in peck baskets. Fill them with fresh peanuts, cashews, walnuts, almonds and pecans. Pair the baskets with tongs or scoops so guests can serve themselves. Don't forget to offer packaging in various sizes to accommodate the needs of your shoppers. 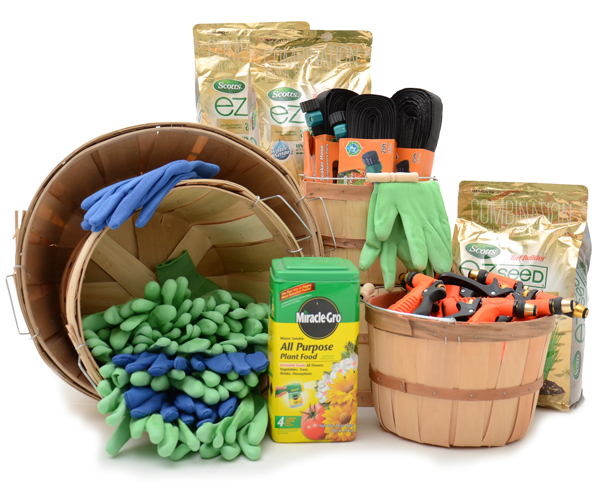 Check out our wide array of convenient packaging options. Need a cool planter? 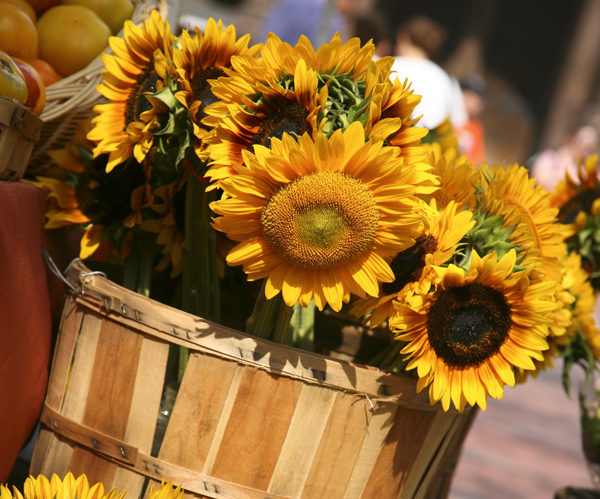 Bushel baskets will add a farmers market feel to your retail floral display. The rustic wood design is perfect for fall bouquets, beautiful spring arrangements or festive centerpieces. Spice up the holidays with a poinsettia display or create a bit of Irish pride with a floral arrangement that won't cost a pot of gold to create. No matter what the occasion, bushel baskets are sure to delight. Due to the behaviors and mind set of shoppers today, in-store merchandising displays play an important role in influencing purchasing decisions. If you want to move product in your store quickly, an attractive impulse display is an effective way to do it. When done properly, this strategy can increase store revenue and introduce customers to new products. Bushel baskets provide an optimal impulse or cross-merchandising solution, whether you are running a sale or looking to move more of an item. They come in various sizes and can be used to display a multitude of products. False bottoms can be used to create a display that appears to be full, but really isn't. This will decrease shrinkage while maximizing sales. Half round farmers market baskets are also available, which are designed to hang on a wall or sit on a countertop so the product cascades out and creates a spilled over effect. Your organization game is about to get stronger! Bushel baskets or farmers market baskets are a helpful easy-to-access storage solution for any setting. They are great for tucking into corners or storing on shelves. Plus, they are nestable to save space when not in use. A convenient label allows you to mark what's being stored for easy identification. 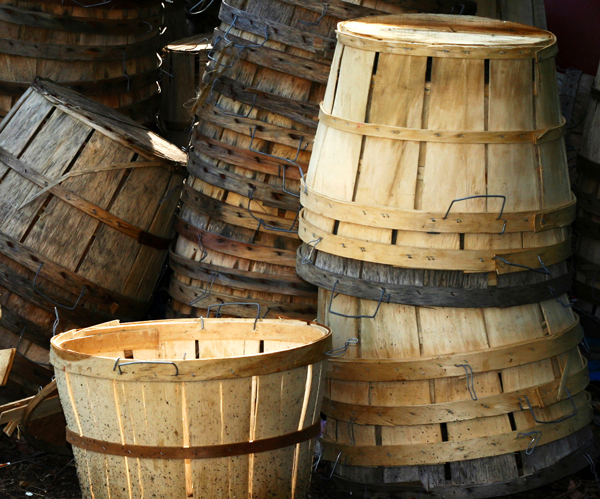 I hope some of these ideas inspire you to see the possibilities of bushel baskets in your store.